• ETL Certified to NSF No.8, CSA, and CE Standards. 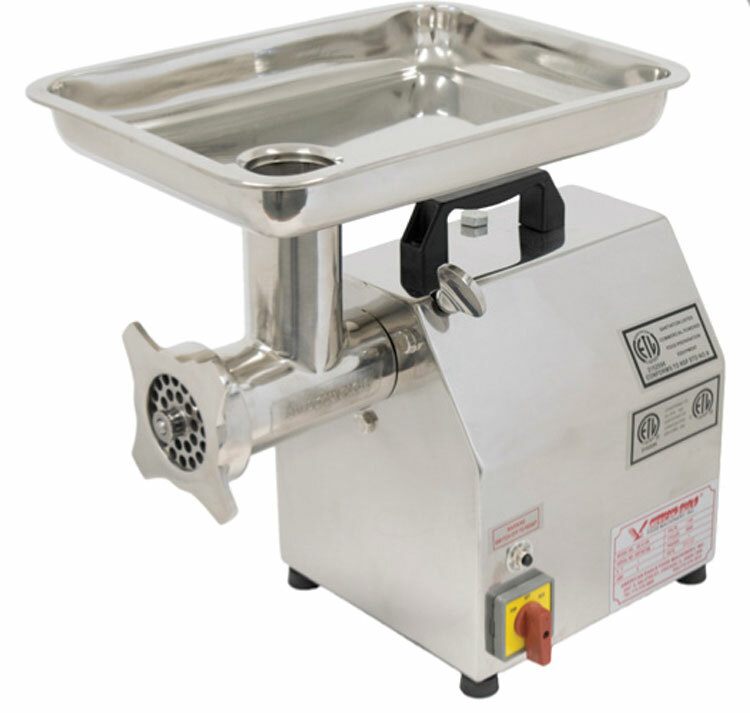 Standard Accessories: Stainless Steel Feeder Pan, Meat Pusher and Stuffer Tube (3/4”), 1/4” (6mm) Stainless Steel Plate, 5/16” (8mm) Stainless Steel Plate, Stainless Steel Knife. Standard Features: Forward/Reverse switch* (*Reverse mode should only be used with meat grinder head, using reverse on other attachments may cause damage not covered by warranty), Motor Overload Protection, Reset Button, Standard #12 Hub For Optional Attachments, Non-Slip Rubber Feet, Warranty: 1 Year Limited Warranty. Capacity: 250lbs/hr. 8 Amps. 115 V. RPM (Auger):170.